Updated: Utility PG&E has hit another snag with its smart meter roll-out. Monday afternoon, the company announced it will replace 1,600 of its smart meters, which were manufactured by Landis+Gyr, because of a defect that causes the miscalculation of customer energy bills. PG&E says the faulty meters were occasionally running fast, and overcharging customers. 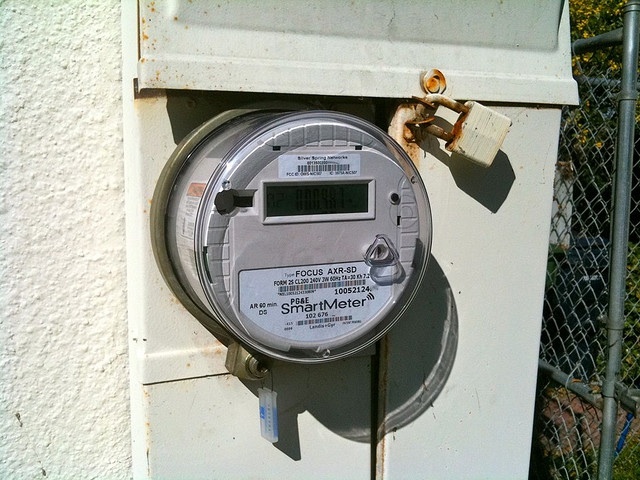 While the broken meters only make up less than 0.08 percent of PG&E’s smart meters provided by Landis+Gyr, given the utility has experienced problems with customer outreach in the past, the news this afternoon will likely lead to more customer backlash. PG&E is spending $2.2 billion on rolling out 10 million smart meters (this is both electric and gas), and has installed about 8 million of the new meters so far. Landis+Gyr has only supplied 2 million of the 8 million meters so far, and GE (s GE) has supplied the bulk of the rest. In addition to replacing the broken meters, PG&E will offer full refunds for customers that were overcharged, and PG&E says the average refund will be $40. PG&E will also give customers a $25 credit for the inconvenience and offer customers a free in-home energy audit. PG&E should be lauded for publicly announcing the problem, correcting it and providing full refunds and new meters. Let’s see how fast and convenient the process is for the affected customers. The 1,600 broken meters are only the latest smart grid problem for PG&E. Last month, PG&E also decided to offer the option to turn off the radios and pay the extra charges of having them read manually to customers who think their smart meter radios might be a health risk. The move was in response to a tiny, but very vocal, group of PG&E customers who’ve been blocking smart meter installation trucks and successfully lobbying local governments throughout Northern California to place a moratorium on installing the wireless smart meters. The smart meter problems began back in 2009, when customers in Bakersfield, Calif. accused PG&E’s new smart meters of overcharging them for their power, and started a lawsuit. A Sept. 2010 report on PG&E’s smart meter program found the system wasn’t overcharging customers (but ironically has been for these 1,600 broken meters), but the utility had made mistakes both in implementing the new technology and in reaching out to customers to explain how it would change their bills. Last month, PG&E CEO Peter Darbee stepped down after a difficult 2010 for the utility. Image courtesy of Glenn Gutierrez. This information proves how unreliable (corrupt) studies, government info, and industry are when addressing smart meter concerns. People in Bakersfield were overcharged by thousands in some cases and denied help. This, in addition to fires and being made ill by these poorly designed, very dangerous devices. Those who support smart meters are right there in bed with all the criminals who promote them, despite the harm they are definitely causing.